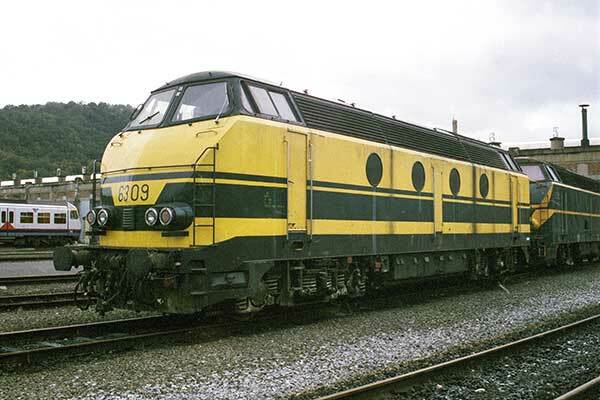 Caption - Belgian Railways (SNCB) Type 62 6309 is one of 136 Bo-Bo diesel locos built between 1961 and 1966. This image was taken at Schaarbeek depot in 1996 when these locos were still working trains. Today the remaining members of the class are used by the engineering department and for rescuing failed high speed trains!